Each gumshield is individually hand made to your exact measurements. 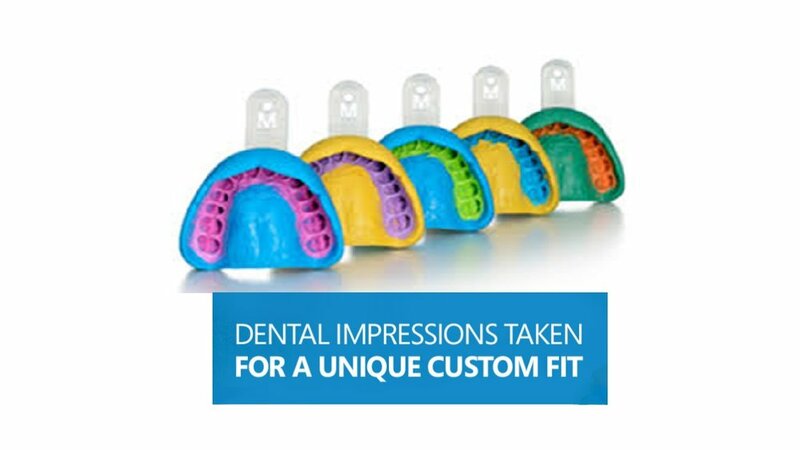 We take dental impressions on site, then take the impressions back to the dental lab and fabricate a unique custom fit dental gumshield. Each mouth guard is like a finger print completely unique to each individual. They are fully customisable so can be made to any colour or combination of colours desired. Each mouth guard will have the athletes name printed on the side and team/school crest if requested. Prices start at €40 per gumshield. This includes the custom fit shield with your team colours, name and crest (if available) and a carrier case. See our prices page for discounts on group fittings.